Hi lovelies! Today I wanted to do a post all about my car, which is definitely a new one for me, as I'm absolutely no expert on cars and things like that, but I know that when I was looking for a car (after my first ever car was such a disaster! ), I was determined to read reviews and things to find out as much as possible before taking the plunge! 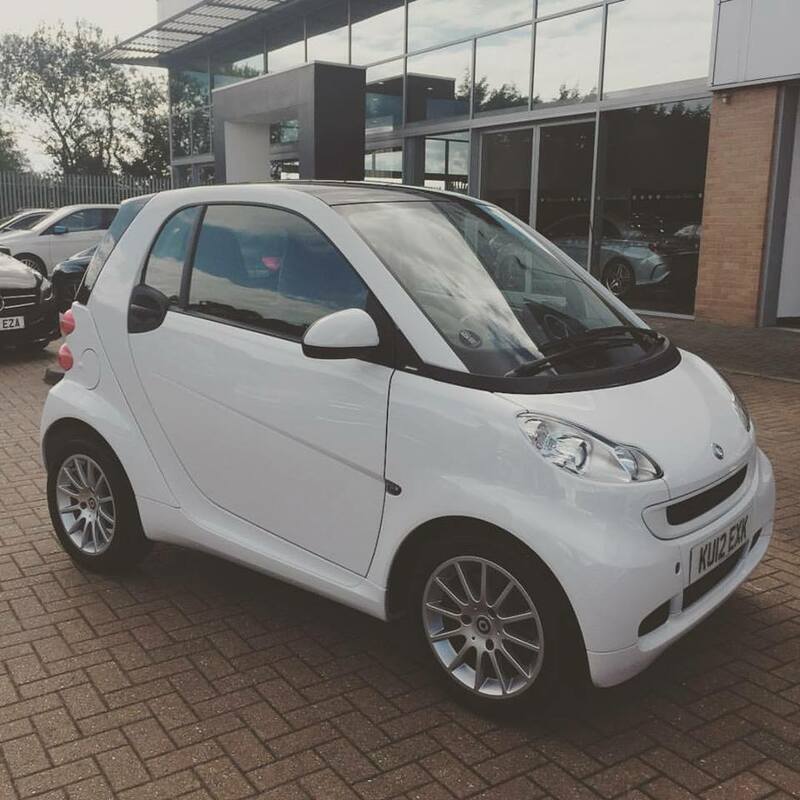 So, today I thought I'd share my thoughts on my little Smartie in case you're considering this as your next car! Keep in mind this review will be as basic as a school girl in Starbucks as I really don't know my stuff when it comes to cars, so if you'd like to hear about this car in a very simple way, this post is for you! So, the pictures above are of my lovely little Serena the Smart, my baby! First things first, I think Smarts have a bit a bad reputation when it comes to the Automatic transmission, mine is Semi Auto as most Smarts are, but I only ever drive in fully auto mode (because why not??). 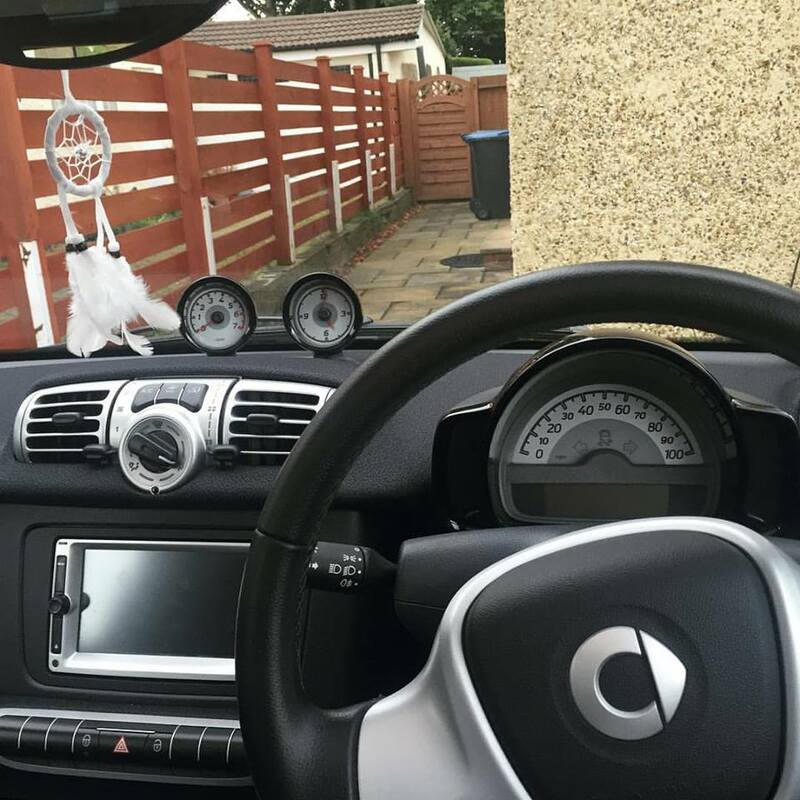 Many reviews say the gear changes are slow and the car is very jumpy blah blah blah.. I think unless you're a real petrol head and really know about cars, I don't think you'd really notice this. Driving in Eco mode, it is a bit slow to pull away sometimes, but for longer journeys, I turn Eco off and it drives really nicely and I don't notice the gear changes at all. Where I live and work in Essex/ Hertfordshire, the roads are full of potholes and uneven surfaces and honestly, in this car, you're going to feel it! It's not too big a deal for me, but if you've often got to do long journeys on uneven roads, it could be a little uncomfortable. A common misconception about Smart Cars is that they're super tiny and cramped inside. Not. True. Yes this car is teeny weeny on the outside (and an absolute dream to park may I add! ), it's a bit of a tardis, as it's actually very roomy on the inside, due to the lack of back seats. For me, I rarely go anywhere in the car with more than just Darren (and if we do, we have his car for that! ), so the two seats aren't an issue for me, but obviously this will not be a good family car. The boot is quite spacious for the size of the car and is perfect for a weekly supermarket shop, but you're likely to bring home any Ikea flat packs in this teeny baby! The one thing about Smart Cars that isn't so great is the fact that they don't come with a spare tyre, simply because there's not enough room for it! A great place for this that's been bought to my attention recently is the Point-S depot in Essex, it's good to know about places like this as if something were to happen while driving, it's definitely worth knowing who to call! This company in particular allow you to book your tyre fitting online, fab for busy people who need to sort these things out quickly and simply! The lack of spare tyre isn't too much of an issue, as honestly, I wouldn't know how to change mine alone anyway, but if this is something that would bother you, a smart may not be best for you. The fuel economy on this car is fantastic, from empty, the tank is about £35 to fill and while it claims to get around 65mpg, I would say I get around 50 to 55, as my route to work can be quite stop start, however, this is still fab and it costs me next to nothing in fuel and I drive to work 5 days a week (around 7 miles away) and regularly to and from shops and other places, so it's perfect for that. The insurance is also really quite inexpensive compared to a lot of other cars, so if you want to cut your costs, it's a great way to go! Can we also just take a moment to appreciate how cute she is? It's a controversial one and some people absolutely hate Smarts, but I think this little baby is beautiful and honestly, I think Smarts are one of the cutest and best little cars out there. It's fun to drive, it's very safe as all the crash testing is done by Mercedes, it's cheap to run and insure, it's easy to park and it looks super cute! So, that's about all I can think of! (Told you I was an amateur!) Comment with any questions you have if there's anything I've forgotten!